Performers include: Roger Ebert, Gene Siskel, Rex Reed, Bill Harris, and Dixie Whatley. 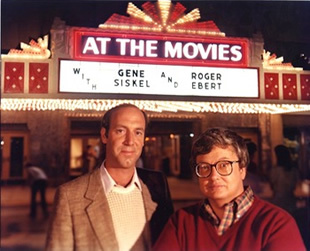 Following their departure from the PBS series Sneak Previews, Chicago newspaper critics Gene Siskel and Roger Ebert began hosting this syndicated show for Tribune Entertainment. Tribune eventually replaced Siskel and Ebert with newspaper critic Rex Reed and Entertainment Tonight correspondent Bill Harris. In addition to reviewing movies, they also reported entertainment news. The program was renamed as At the Movie (not to be confused with a later program of the same name which was hosted by Siskel and Ebert). After two seasons, Harris was replaced by Dixie Whatley, another ET correspondent, and they continued until the show ended two years later. What do you think? Do you like this TV series? Are you sorry that it’s no longer being made? Is Bill Harris still working as a film critic? If so, or not, how can I reach him?